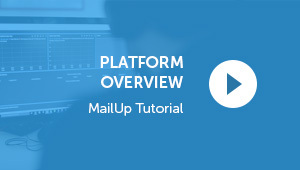 A gallery of video tutorials – continuously updated – that allow you to see with your own eyes, and quickly understand, the functions of the MailUp console. Custom rows are pre-filled rows of content ready to be used. Content available in custom rows is retrieved through Sources created using a link (RSS/ATOM feed) or by uploading a .csv or .json file. 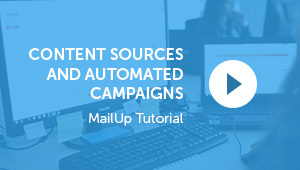 Automated Campaigns are based on the update of an external content source, that automatically retrieves content from RSS/ATOM feeds. 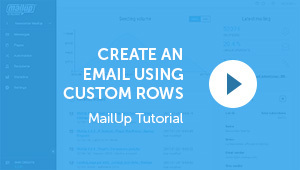 Drive more subscribers to your email and SMS databases, with one single form! 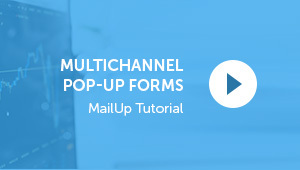 Here is how to design a multichannel pop-up form and embed it on your website.